Phillips has unveiled a new soundbar speaker system, which has been designed to enable you to stream content from your computers, tablets or smartphones. The new Philips Soundbar CSS5123 is powered by Google’s Android operating system and provides surround sound together with content streaming from any DLNA enabled devices. 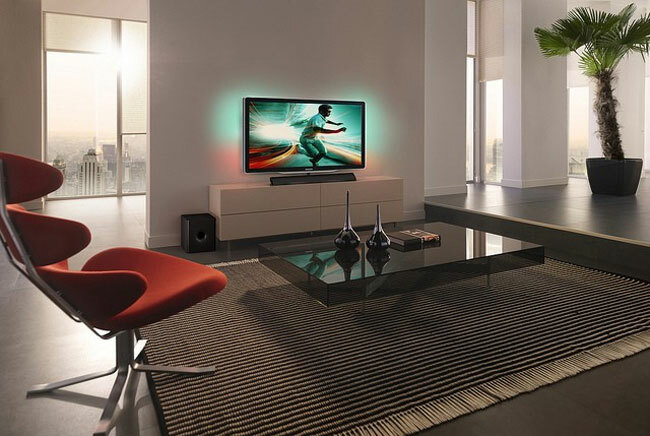 The Philips Soundbar CSS5123 is available in either black or silver to match your interior, and is equipped with 5 “virtual” surround sound speakers into a case which fits just below your HDTV screen. The Soundbar CSS5123 system also comes with a wireless subwoofer as well as a WiFi adapter and enough processing power to handle 1080p HD streaming, together with system management features. The Soundbar has been designed to provide Audio and/or video streaming via Philips SimplyShare app on either your Android smartphone or tablet connected to your local WiFi network. It also provide the ability to simply plug in a flash drive or hard drive to load up video, music or photos, or stream directly from your PC. 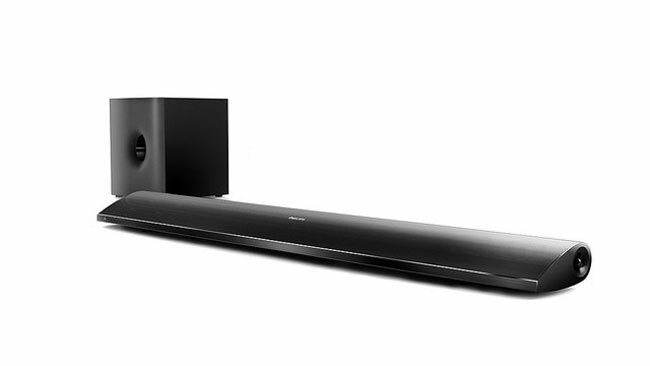 The Philips Soundbar CSS5123 will be available to purchase in April this year for around $349.